My current book project traces the history of the idea that some forms of religious experience constitute a contagious form of insanity. This idea has assumed many names since its advent in the age of revolutions: dancing plague, religious mania, religious frenzy, fundamentalism, and cult. The goal of this book is to unearth the regime of power behind these "nomenclatures of containment." Building on the work of David Morgan, Leigh Eric Schmidt, Isaac Weiner, and others, I show how psychologists, social scientists, and governments have, since the late eighteenth century, used the idea of “religious madness” to set the proper limits of religious experience, to limit “true religion” to forms of belief and practice which have been submitted to reason, and to control populations. The idea that some forms of religious belief or practice indicate a diseased mind, and that, as such, might be contagious, was the invention of the French psychologist Philippe Pinel (1745-1826). Pinel's career languished under the ancien régime; he was unable to practice medicine because his degree from a provincial university was unrecognized in the capital. He was deeply committed to the French Revolution, though, and shortly after the execution of Louise XVI, he was named director of the Asylum at Bicêtre. 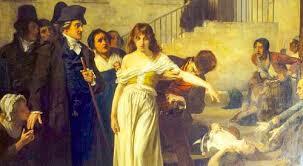 In 1795 he was appointed chief physician at La Salpêtrière Hospital, an insane asylum for women. The theories and practices he developed there, in many ways, launched the modern age of psychiatry. Deeply committed to laicite--and not at all opposed to the use of violence to bring it about--Pinel asserted that those who refused to go along with the regime's anticlericalism were, in fact, suffering from a mental illness he called "religious enthusiasm," which was contagious and difficult to cure. Those suffering from milder cases of religious enthusiasm might be relieved of their affliction if the physician read aloud to them passages from Racine or Voltaire. In more severe cases, which he called "religious mania," the afflicted should be instructed to destroy religious artifacts or blaspheme the heavens "to convince them...that heaven was deaf equally to their imprecations and prayers." Ideally, religious maniacs would be cordoned off from regular society and sent to work camps which had been scrubbed of "every painting or book calculated to rouse the recollection” that such a thing as religion existed. Benjamin Rush’s used this invention, the Tranquilizer, to treat religious madness. Pinel's theory gained traction in the early twentieth century in France, Germany, Britain, and the United States. Benjamin Rush elaborated a similar theory in his 1812 Medical Inquiries and Observations Upon the Diseases of the Mind -- the text that birthed psychology in the United States. But the first major development in Pinel's theory was the result of the new science of phrenology. In the first half of the nineteenth century phrenologists (who, like early theorists of religion, sought the primitive origins of religion which they took for granted was a universal phenomenon) located the "organ of devotion" -- the location in the brain which predisposed some people to religious emotionalism and others to enlightened rationalism. An enlarged organ of devotion -- usually evinced by a bald head and a pointy skill -- indicated religious genius in moderate cases and, in severe cases, religious insanity. While the germ theory of disease was still under construction, early scientists of the mind asserted that some religious experiences were literally contagious: that an unhealthy mind could infect others with dangerous religious ideas through invisible fluids, the fluctuation of humors, or hysteria. Indeed fears about the contagious nature of religious mania were one motivating factor behind the creation of the penitentiary system of incarceration. Friends Hospital was founded by Philadelphia Quakers in 1813, inspired by the Moral Treatment reforms pioneered at York Retreat and at Salpêtrière. Asylum directors worried that Revivals such as Cane Ridge triggered outbreaks of religious frenzy. William James, the father of modern psychology and religious studies, sought to differentiate between healthy and unhealthy religious experience. In the first half of the twentieth century, key thinkers in psychology and religious studies including William James and Sigmund Freud built upon and transformed theories of religious madness as they reflected on the relationship between religion, insanity, and deviance. James, who played a key role in the development of both religious studies and psychology, reflected on the differences between healthy and unhealthy religion throughout his career. Freud, along with many of his contemporaries, sought the psychological and mental illnesses that often manifested as religious belief. Meanwhile, the professionalizing fields of medicine (and its competitors homeopathy and chiropractic) looked into medicinal or herbal treatments for the disease (the herb Wolf’s Bane apparently showed some promise). What lay behind these analyses was Pinell's original idea: that there are some forms of religious belief that are dangerous both to those who hold them and to people in the proximity of the afflicted. Coining the word schizophrenia was not Blueler’s only contribution. He added a new symptom to “religious mania:” founding new religions. Both psychologists and social scientists interested in religion were heavily invested in the idea that some forms of religion were inherently dangerous to public health and ought to be stopped. Indeed, this may have been the founding assumption behind the academic study of new religions. In the 1960s, the National Institutes of Mental Health poured millions of dollars into the study of "new religious movements” in hopes that understanding the mechanisms by which cults or new religions gain converts might be useful for protecting Americans’ mental health. Social scientists trained in the sociology of deviance followed these federal dollars to California to study what they called “cults” or “new religious movements.” These scholars created theories that were not all that different from those of Pinel, Rush, or Blueler. One founding father of the field of new religious movements argued that people who converted to the Unification Church had personality traits, life events, and traumas that “predisposed” them to fall victim to such a “highly deviant, obscure, and stigmatized world view” and theorized that converts suffered from any number of psychological tensions: "unrealizing longing for wealth, knowledge, fame, or prestige,” or “homosexual guilt” and that these psychological defects lowered their immunity, so to speak, against dangerous ideas. The idea that some forms of religion are not unlike contagious diseases did not go away in the twentieth century. Rather, "religious mania" became institutionalized; built into the fabric of the fields of psychology and religious studies and embedded within the mental framework of the modern West. 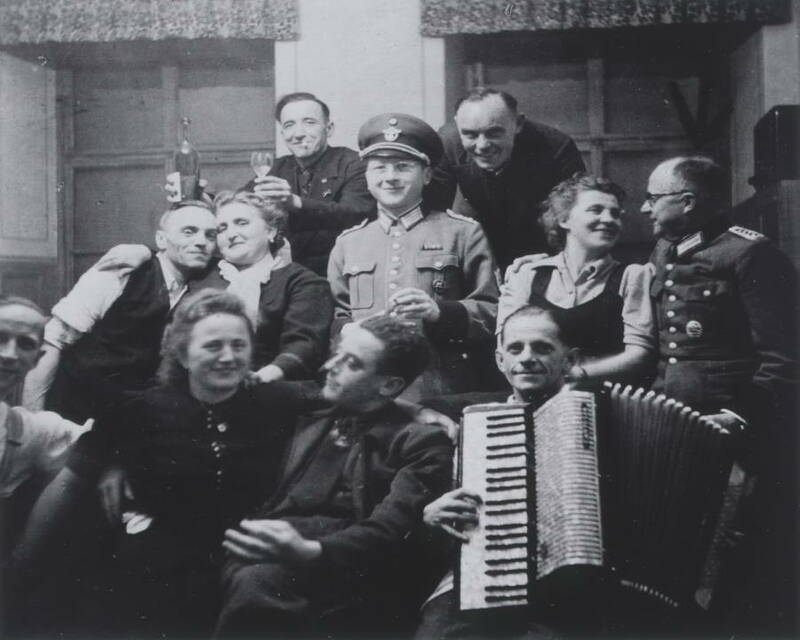 Nazi psychiatrists, pictured celebrating after a day of murdering people they deemed unworthy of living, used “religious madness” as a rationale for euthanizing Jehovah’s Witnesses and other religious minorities as a part of the T-4 Program. In the middle of decades of the twentieth century, social scientists, psychologists, and religious studies scholars -- armed with the confidence that medical science had found the neurological origin of dangerous religious beliefs -- formulated theories of social deviance that accounted for the spread of religious hysteria (and on a more fundamental level, the surprising resilience of religion in an age of reason). The Nazis found the diagnosis of religious mania useful for confining, and often murdering, religious minorities such as the Jehovah's Witnesses. Elsewhere in Europe and in the United States, confinement in insane asylums of people afflicted with religious madness, religious hysteria, and related maladies continued apace. Religious madness received a new name in the twentieth century: schizophrenia. The word was first coined by Swiss psychologist Eugen Bleuler, an associate of Freud's, in 1908, though it did not come into popular usage among American psychologists until this work was translated into English in 1952. That same year, the American Psychiatric Association published its first Diagnostic and Statistical Manual of Mental Disorders (the first edition in referred to as DSM-I) which consolidated the symptoms of religious mania under "Schizophrenic reaction, paranoid type." The symptoms, "excessive religiosity" which may present "with or without delusions of persecution,” and "an expansive delusional system of omnipotence, genius, or special ability" were nearly identical to those identified by Benjamin Rush one hundred and forty years earlier as religious madness.